Last December I was on assignment for The Economist's 1843 Magazine in South Dakota to follow The Dakota 38 Riders. 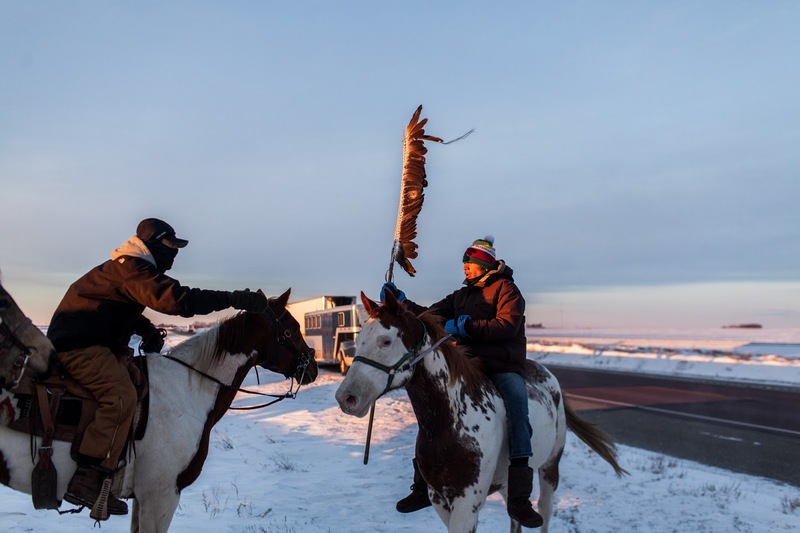 They travel 330 miles from Lower Brule Indian Reservation to the site of a mass-hanging in Mankato, Minnesota every December to honor 38 men that where hung. On the morning of the second day the wind was vicious, howling across the Dakota plains and hammering into our bodies. Frigid and cold it hit like a ton of bricks and then disintegrated into thousands of tiny needles as it nibbled away at any exposed skin. The windchill put the temperature at just around -30F shortly after sunrise. The riders had to make up for lost time of the day before. Instead of riding together, a relay was set-up, where two riders would gallop for a few miles, and then hand-off the Staff, which has to travel every inch of the 330 mile journey during the honor ride. Galloping in twos at full speed the riders and their horses cut elegant and powerful figures in the early morning light. By mid-day, they had made-up the distance lost the previous day. As the riders slowly came together towards the afternoon, you could feel the energy of the morning crescendo, with each additional member seemingly filling-in a piece of the orchestra that was culminating in the high point of the prayer. 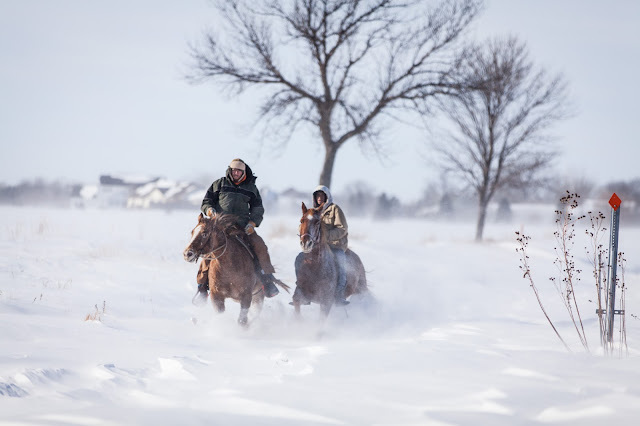 The horses and riders now moving lock-stop alternated between riding single file and galloping in a group through the plains of Minnesota. Bracing icy winds and brutal temperature, the energy was palatable, the staff unquestionably traveling at the head of the procession. There where many moments that gave me the chills on this trip. But none compares to the moment when all the riders joined together to ride in unison again, lead by the head staff rider. I am truly honored to have been able to witness this prayer ride. 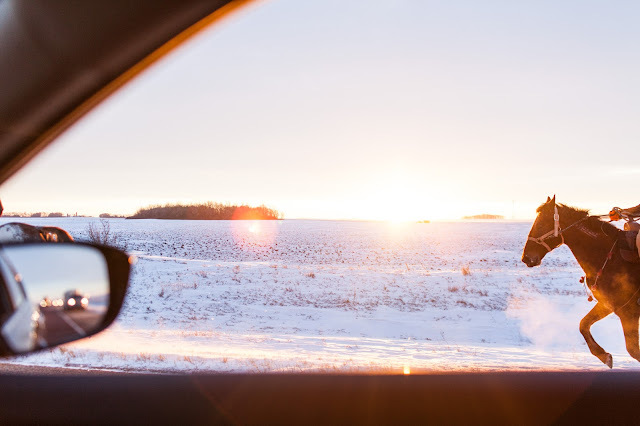 The stoic and majestic figures silhouetted against the rising sun and the vast snow-covered plains of the Dakotas forever seared into my mind. Despite the -30F degree winds, and the logistical challenges this shoot presented, I found this to be one of the more enjoyable and rewarding assignments. See more pictures at The Dakota 38, and read the story by James Astill and in this months 1843 Magazine, now out in Newsstands.